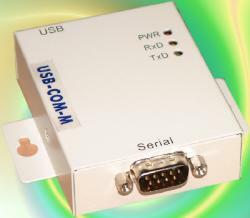 USB to 1-port RS232 Serial Adapter. Provides transmit & receive lights. Cable length is approximately 10 inches. FTDI chipset. USB to 1 Serial Port Adapter. Cable length is approximately 5 feet. Prolific chipset. 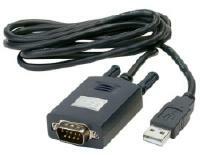 USB to 1 Serial Port Adapter. Cable length is approximately 1 1/2 feet. Prolific chipset. 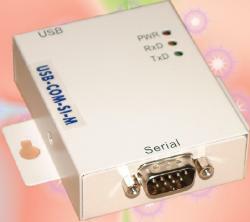 USB to 1 Serial Port Adapter. Provides transmit & receive lights. FTDI chipset. 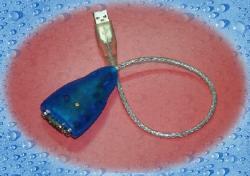 USB to 1 Serial Port Adapter. Comes with a USB cable of approximately 3 feet. Transmit & receive lights. Metal housing. FTDI chipset. 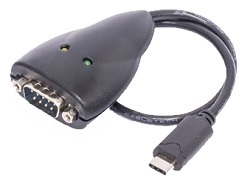 USB to 1 Serial Port Adapter. Comes with a USB cable of approximately 3 feet. Transmit & receive lights. Metal housing. Provides optical isolation & surge protection. FTDI chipset. USB TYPE C to 1-port RS232 Serial Adapter. Provides transmit & receive lights. Cable length is approximately 10 inches. FTDI chipset.